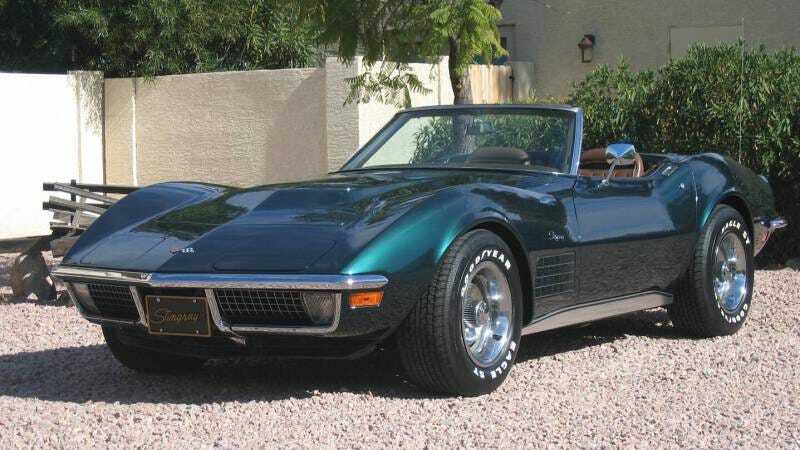 I've always loved early ('68-'72) C3 Corvettes in this dark metallic green. I found this one on an old Barrett-Jackson auction results page. If I ever am rich and buy a pile of old cars, one of these with a big block, 4-speed and side pipes is right at the top of my list.